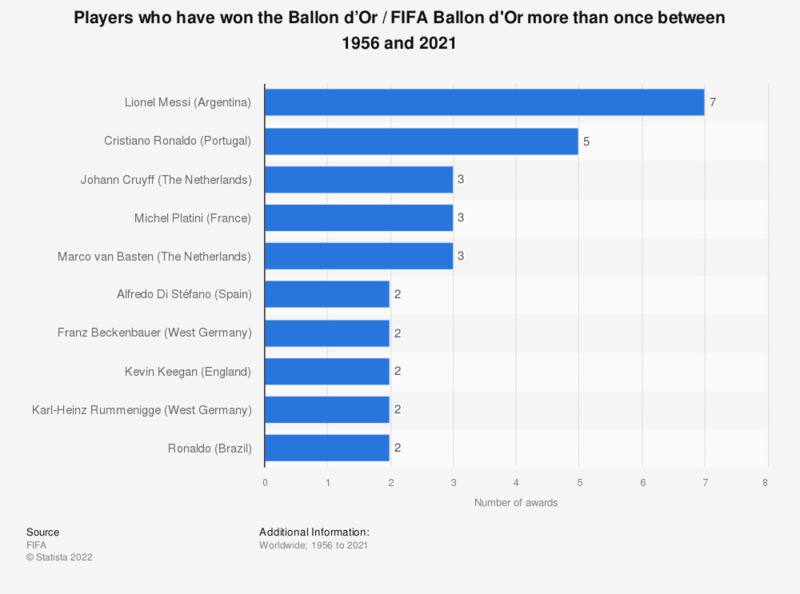 This statistic shows the players who have won the Ballon d'Or / FIFA Ballon d'Or on more than one occasion. Lionel Messi and Cristiano Ronaldo lead the list, having both won the award five times. The Ballon d'Or has been awarded annually by France Football since 1956. As of 2010, France Football's Ballon d'Or and the men's FIFA World Player of the Year were combined to form the FIFA Ballon d’Or.